Boys and girls, we had so much fun live streaming the 107th episode of Sparkles' Safety Spot! Brought to you by the Keep Kids Fire Safe Foundation and First Alert. 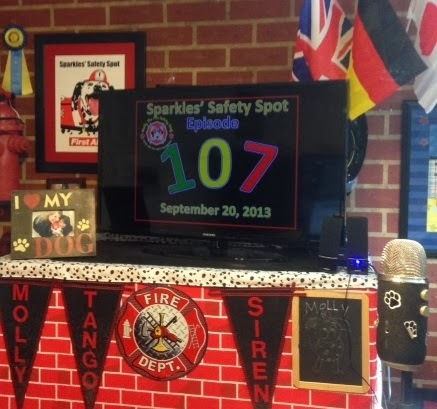 Join Molly the Fire Safety Dog on Facebook HERE.